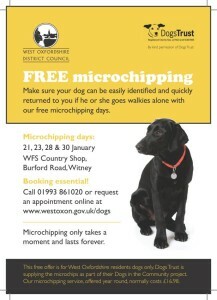 This free offer is for West Oxfordshire residents dogs only. Dogs Trust is supplying the microchips as part of their Dogs in the Community project. Our microchipping service, offered year round, normally costs £16.98.